Following news that verified crypto-user numbers doubled in the first three-quarters of 2018, the study by Cambridge University also concluded that the death of Bitcoin amid an 85% drop in price has been ‘greatly exaggerated’ by the media. Diversification has increased, with a rise in cross-segment expansion, meaning 57% of companies now offer integrated services to customers. Multi-coin support has also increased, from 47% of service providers in 2017 to 84% today. Geographical concentration of mining hash power is not as big a problem as commonly perceived as well, with particular growth in North America. A large share of the energy consumed by these facilities comes from renewable sources in regions with excess supply. The report also notes the growing maturity of the market, as indicated by an increase in self-regulation. Cambridge University defines a bubble as 10+ times growth over a period of 6 months or less, followed by a substantial decline. It also categorizes bubbles as either local, affecting just one crypto-asset, or global, affecting the entire ecosystem. Local bubbles are far more common than global bubbles. The intense media coverage, which fuelled the market frenzy beginning in April 2017, caused a Bitcoin and cryptocurrency bubble like none before it. Similarly, the media narrative following the collapse in prices this year would have us believe that the bubble has not just burst, but the entire crypto-industry is now dead. Statements proclaiming the death of the cryptoasset industry have been made after every globalecosystem bubble. 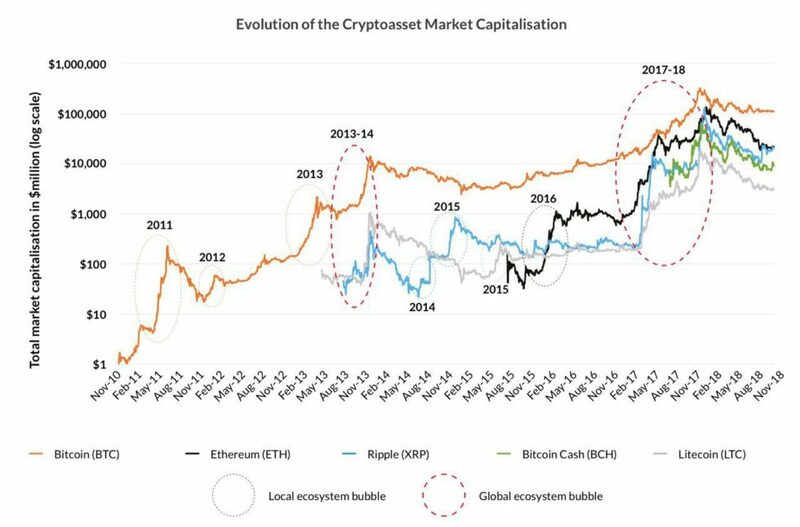 While it is true that the 2017 bubble was the largest in Bitcoin’s history, the marketcapitalisation of both Bitcoin and the cryptoasset ecosystem still exceeds its January 2017 levels –- prior to the start of the bubble. This report has shown that the speculation of the death of the market and ecosystem has been greatly exaggerated, and so it seems likely that the future expansion plans of industry participants will, at most, be delayed. 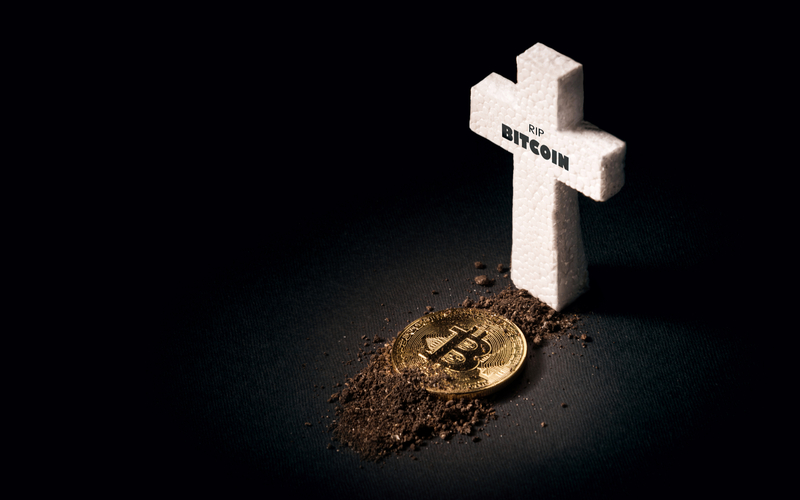 Indeed, the death of Bitcoin has been proclaimed over 330 times over the past decade, and it’s doubtful whether this time is any different. So what do these (perhaps delayed) plans entail? Well, an increase in multi-coin support is likely to continue, with all single coin storage providers planning to add support for more crypto-assets. Innovations in second layer payment networks (such as Bitcoin’s Lightning Network), will have the biggest impact on business models and operations, according to the report. Stablecoins are likely to enhance business opportunities by mitigating volatility for storage providers and multi-segment firms, while non-fungible tokens will have limited impact. This data comes from an analysis of a series of sentiment questions, posed by the study. Do you agree with Cambridge University’s findings? Share your thoughts below!